As a first-time homebuyer, you may be considering your borrowing options for purchasing your new home. If you have researched the types of lending available to first-time homebuyers, you have probably stumbled upon the term “FHA loan.” While FHA loans aren’t perfect, they are a great option which are designed to promote individuals to become homeowners. Throughout this article, we will discuss the benefits of FHA loans so that you may make an informed decision when it comes time to apply for a home loan. At Mortgage Xpress, we’ve helped countless individuals in Birmingham and its surrounding areas receive mortgage loans at affordable rates for over 30 years. If you are a first-time homebuyer and are searching for an experienced and qualified lender, contact our team of professionals at Mortgage Xpress. We provide residential loans at an affordable interest rate for the satisfaction of our customers. Read more below to learn why applying for an FHA loan is a great choice for first-time homebuyers. Because of their low credit score requirements, FHA loans are great for individuals looking to buy their first home. To qualify for an FHA loan, you are only required to have a credit score of 580 or higher. 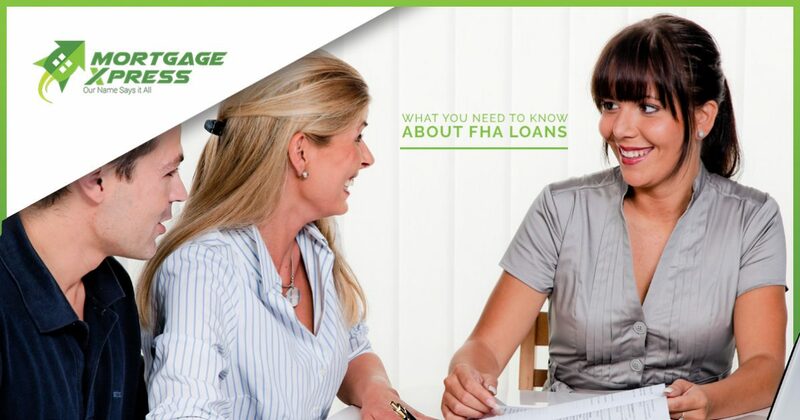 This makes it very easy for most individuals to receive an FHA loan with little to no effort. More importantly, if you are willing to offer up a larger down payment, your credit score can sometimes be even lower than 580 while still being able to receive an FHA loan. One of the most appealing aspects of FHA loans are their incredibly low down payment requirements. Individuals applying for FHA loans are only required to make a down payment of 3.5 percent, while other home loan down payments can range upwards of 10 to 20 percent. This makes it very easy for first-time homebuyers to search for affordable housing that will not require a large down payment. If you are considering purchasing your first home in a buyer’s market, there is a good chance that the seller will offer payment of part of your closing costs or total loan. In fact, with FHA loans, sellers are able to pay up to six percent of your total loan as part of your closing cost payment. While it may not make sense for sellers to pay your closing costs, many will offer this perk as an incentive to sell their house quicker in a buyer’s market. While FHA loans may not be for everyone, their lucrative incentives are often appealing for new homebuyers who aren’t able to afford the upfront costs of purchasing a new home. If you would like to learn more about FHA loans, or have questions or concerns, get in touch with our experienced staff at Mortgage Xpress. We have over 30 years of experience in providing first-time homebuyer loans, investment loans, residential loans, and are capable of assisting you with any lending needs you may have. Contact us today to get started!